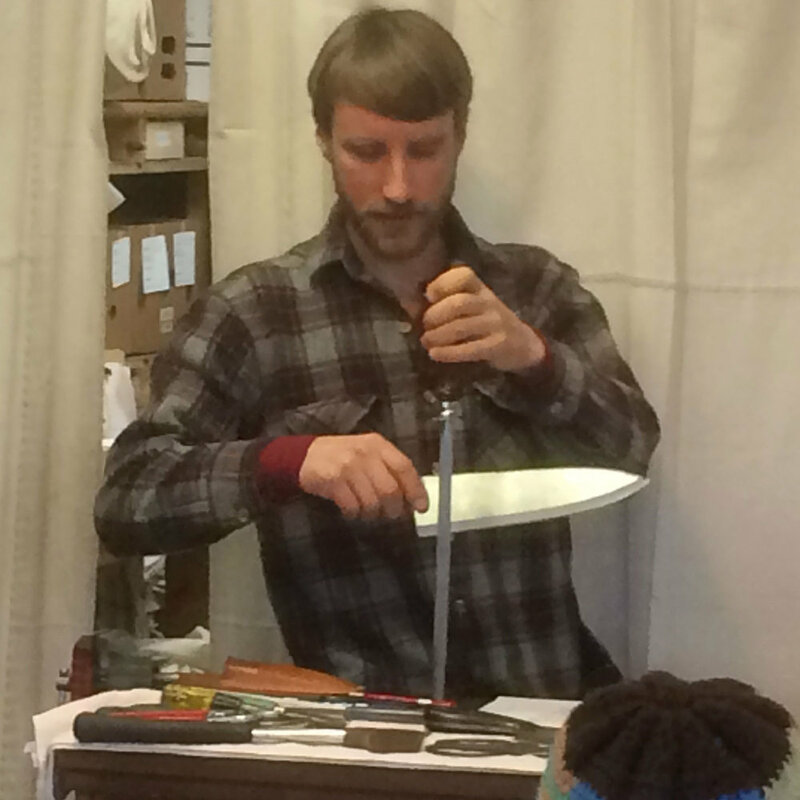 Cutting to the chase: In the spirit of self-reliance and the preservation of traditional hand skills, The Artful Sailor Whole Earth Nautical Supply will host a shears and knife sharpening workshop with Port Townsend’s own “King of Cutlery”, Alex Moro. The three hour workshop on Saturday, August 3rd, starts promptly at 9:00 a.m. in The Artful Sailor shop at 410 Washington Street (by the skate park) in Port Townsend, WA. Participants are urged to bring their own shears, blades and whetstones to hone their sharpening skills under the keen eye and guidance of a pro. Alex Moro has been using and sharpening blades since childhood. Upon moving to Port Townsend, eight years ago, Moro started his small business, Al’s Blade Service, to serve the public and local businesses. He credits much of his practical knowledge to mentors in the trades who’ve graciously imparted their wisdom and he wants to continue the tradition of sharing skills with the community. Sailor’s sheath knives, jack knives, sailmaker’s scissors and combination sharpening stones will be available for purchase. The capacity is 10 adults. To register, please use the form below, email the theartfulsailor@gmail.com, or call 360-344-8120 to reserve a seat at The Artful Sailor’s sharpening bench.